Do birds of a feather plot murder together? The extraordinary Perry Mason never handles straightforward divorce cases, but this one is an especially strange bird. Rita Swaine is dating her sister's ex-boyfriend. Her sister, Rosalind, is married to shady insurance adjuster Walter Prescott, who's got dollar signs in his eyes and ice water in his veins. When Rita's beau gallantly steps in to warn Rosalind about her heinous husband's designs, Prescott hatches a plan to prey on them all...by suing for big profit. For Mason, this case should be a lark. But when a murdered man is found in the Prescott home - and a nosy neighbor sings an incriminating song about illicit love and a hidden gun - legal eagle Mason suddenly finds himself defending a sitting duck. ©1937 ErIe Stanley Gardner. Renewed 1965 by Erle Stanley Gardner (P)2016 Brilliance Audio, all rights reserved. Perry Mason seen the way the author created him. 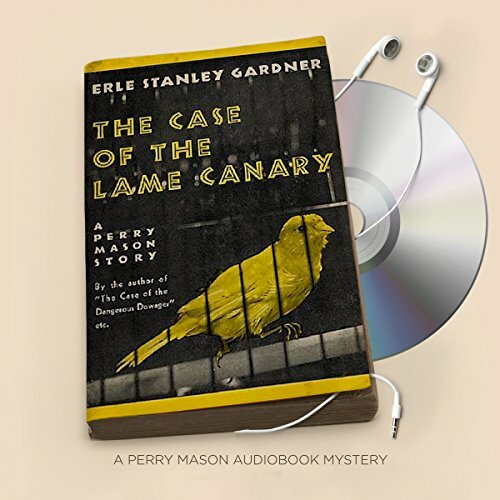 I'm a huge fan of the Perry Mason TV series and have listened to the old radio dramas but the book gives depth to the characters I've not seen before. Perry is quite different from Raymond Burr' s portrayal, a bit more hard boiled at times. The story has all the twists and surprises that Mason is known for. Narrator has some unusual voices for some of the characters, Drake took some getting used too and the female characters were a little awkward but not too distracting.